Home automation is a rapidly growing market in today’s technology-savvy world. It’s an appealing blend of technology and convenience (and a plain old cool factor) that, not surprisingly, has resulted in a multi-billion-dollar industry…and growing. Very simply put, a home automation system is a system that helps to automatically control home appliances using different technologies and controllers. 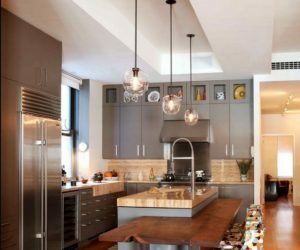 Home automation systems work to make the operation of a variety of home appliances more convenient and save energy, which in turn saves money. Home automation is appealing to many people because it simplifies electrical or electronic device use. Sensors are a key component that make home automation possible. Sensors are triggered, which in turn sends signals/data to the main controlling device. The main controlling device of a home automation system may be a hub or it may be a tablet, PC, or smart phone. Once the controller receives the data, it will use that data to control the actuating device. Actuators are becoming more and more expanded, including things like lights, thermostats, fans, door locks, security cameras, even coffee makers and speakers. Home Automation System Component: The Hub. Power Line Home Automation System. This type of automation utilizes existing power lines to transfer automation information and is therefore inexpensive, but it require additional converter circuits and external complexity. Wired Home Automation System. This type of home automation has all of the involved equipment and devices connected to a main controller via a communication cable. All operations are centralized by whatever computer is continuously communicating with this main controller. Wireless Home Automation System. This type of home automation expands and updates wired automation by using wireless technologies such as wi-fi connection, ZigBee, Bluetooth, etc. Wireless automation systems provides remote operation capabilities. 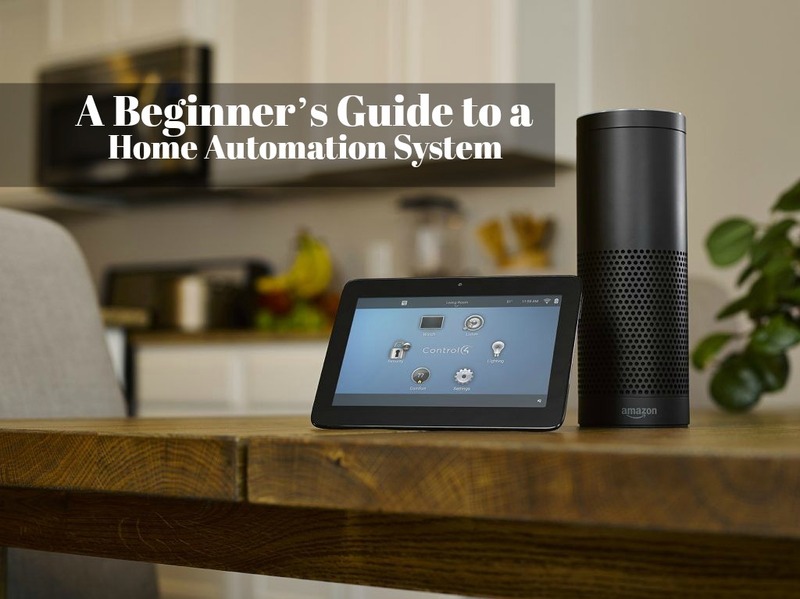 In this article, we’ll take a brief look at some of the possible components of a home automation system to give you a feel for possibilities. 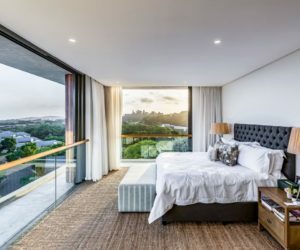 Because home automation systems can be customized to fit your home and lifestyle perfectly, it’s important that you identify your own priorities and situation for the ultimate home automation. 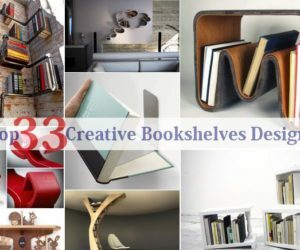 Below are products that, based upon our research, come highly recommended due to their ease of installation and use, convenience, and effectiveness. Note: Shumatsu Distortion may collect part of the sales from the affiliate links contained on this page. The hub for a smart home automation system is a hardware device that connects the devices that are on the home automation network. In general, hubs are network devices that serve as a headquarters of sorts for data from connected devices. The hub is then able to send this data along to one or more other devices. A smart hub is important for home automation because, often, the device components are non-computing. They will often sense things (such as motion, light, temperature, etc. ), and that data enables the devices to link to the hub to enable communication and control. Smart hubs typically have an integrated switch to maintain necessary information and to determine how and where the data is forwarded. A popular smart hub choice is the Amazon Echo. 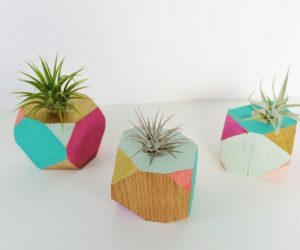 The Echo is a hands-free speaker that you can control simply with your voice. This second-generation model improves on the original with much better Dolby sound quality (including high-quality 360-degree omnidirectional audio) and an approachably contemporary heather gray fabric design option and other styles, such as fabrics and wood veneers. How the Amazon Echo works is as follows: Echo serves as the hub to your home automation system to control smart home devices, of course, but it also uses Amazon Alexa to play music, call or send text messages, set alarms and timers, ask questions, and more via hands-free voice control. Amazon Echo has seven built-in microphones, beamforming technology, and noise cancellation capacity, which allows this smart hub speaker to hear you from any direction in or clear across the room, even while other noises are happening and music is playing. 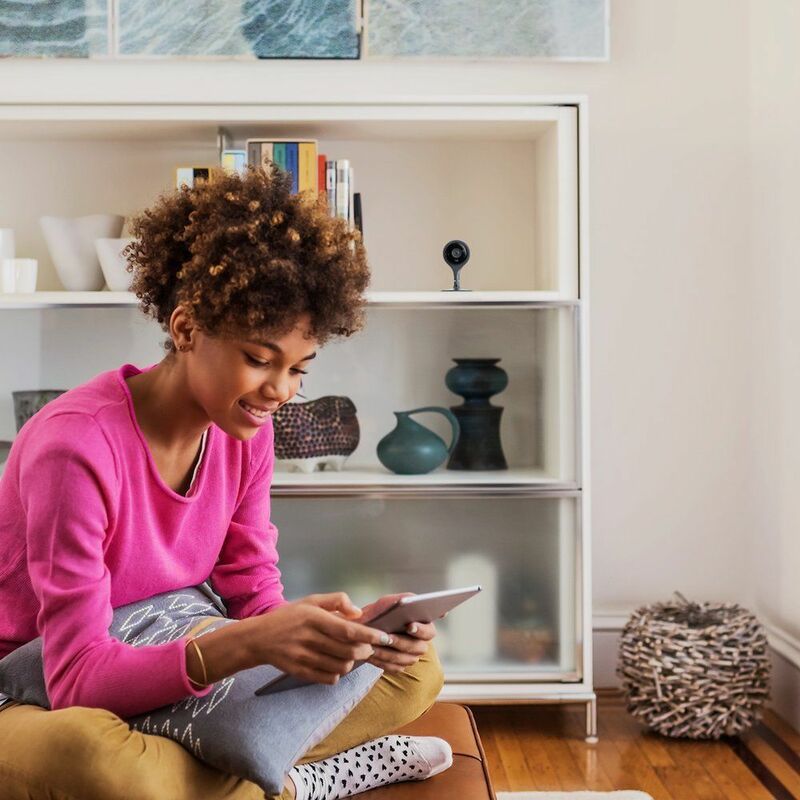 When smart devices are connected to the Echo, you can use your voice to turn on (or off) the lights, lock the door, change the TV channel, and much more. 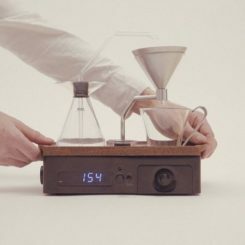 You can control multiple devices with a single, clear voice command or control them at a scheduled time. The Drop In feature of Echo allows for room-to-room calling within the house itself, as you can instantly connect with the compatible Echo devices throughout your home. 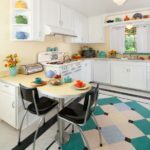 For example, you can say something like, “Alexa, drop in on the family room,” and you will be connected to the Echo-compatible device in the family room to let your family know that dinner is ready without yelling downstairs. This smart hub is convenience incarnate. The Echo Dot’s smart hub capacity is comparable to the Amazon Echo in providing you with hands-free voice control of your home automation system devices, so this is an excellent budget-friendly smart hub option for those who don’t want or need the full Echo. For example, with the Echo Dot, you can control lights, thermostats, TVs, home security cameras, switches, sprinklers, smart door locks, robot vacuums, and much more, and all with just your voice. Get it from Amazon: Amazon Echo Dot 2. Amazon Echo Plus is, essentially, a hands-free speaker that you control with your voice, that also has a built-in smart home hub. 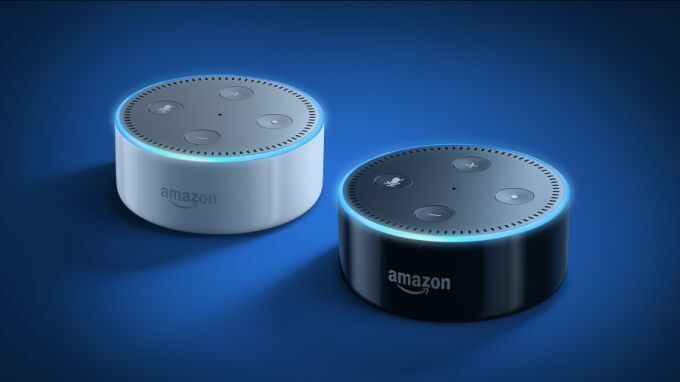 It is similar to the Amazon Echo and Echo Dot in basic function, in that it connects with Alexa Voice Service to serve as a voice-controlled ZigBee smart home hub for a variety of smart home devices on the same network. The Echo Plus alsocomes with a Philips Hue smart light bulb at no additional cost to you, to further put you on the path toward smart home integration. This device provides a simple and seamless foundation for creating your smart home, as you will be able to easily and directly connect compatible ZigBee smart home components (e.g., lights, locks, etc.). 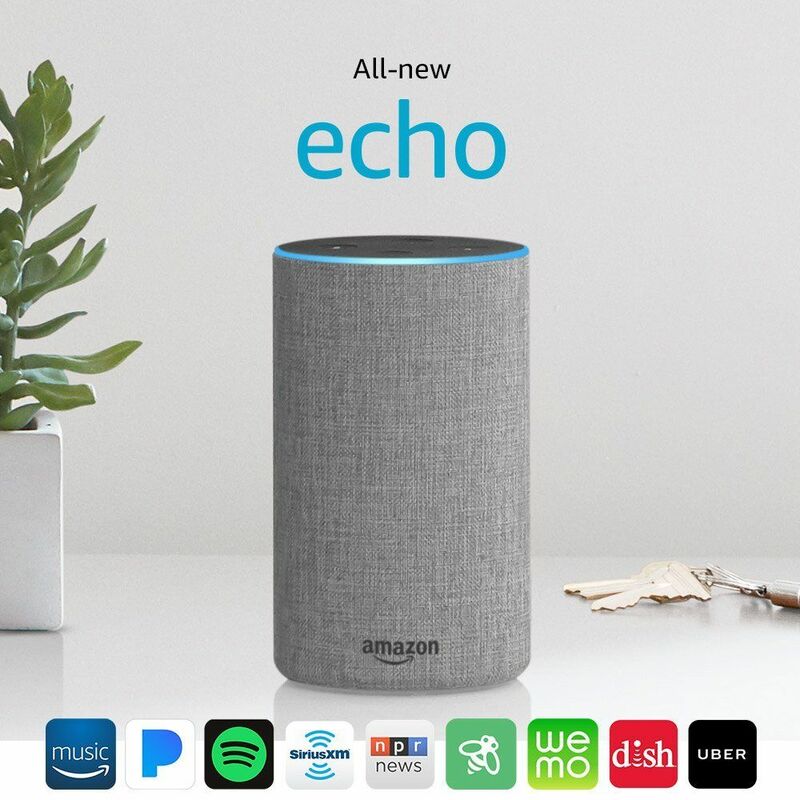 Where the Echo Dot is the most basic hub, and the Echo follows up with great Dolby sound, the Echo Plus is the third-level tier with its built-in hub, fantastic, 360-degree room-filling Dolby sound, and an included smart light bulb that you can connect and control with your voice via the Echo Plus. 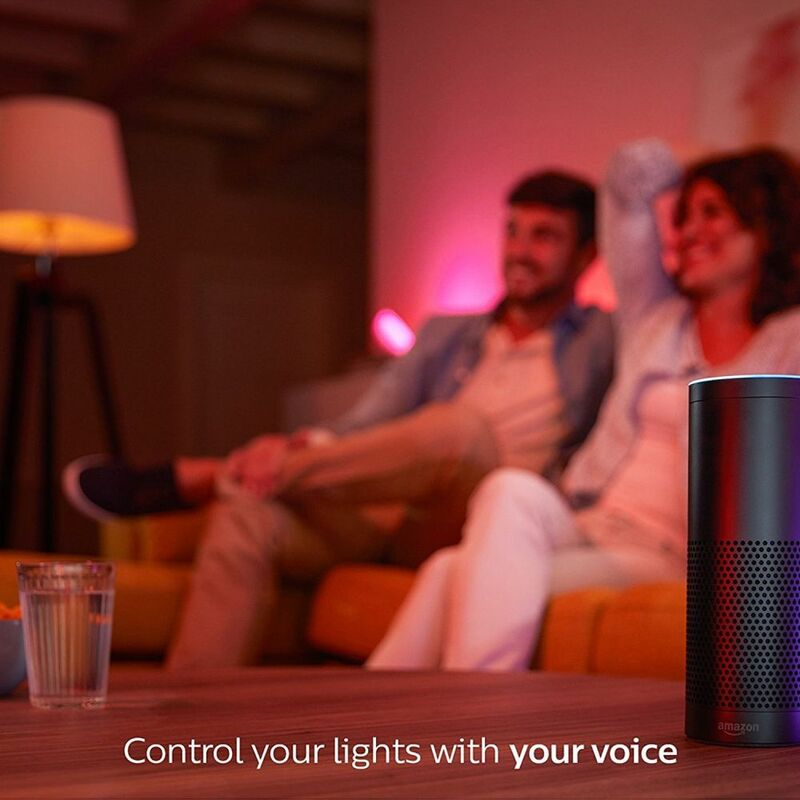 With Echo Plus, you will be able to control hundreds of smart devices using just your voice. Get it from Amazon: Amazon Echo Plus. Calling itself the “brain” of your smart home, the Samsung SmartThings Hub provides the perfect center connection point for all things smart in your house. SmartThings Hub offers strong wireless connection to a range of smart devices and helps them to work seamlessly, and conveniently, together. You can easily add on compatible devices (of which there are many in the smart home world) once you have your SmartThings Hub up and running. Things such as lights, speakers, thermostats, locks, sensors, and more can all be connected and streamlined. 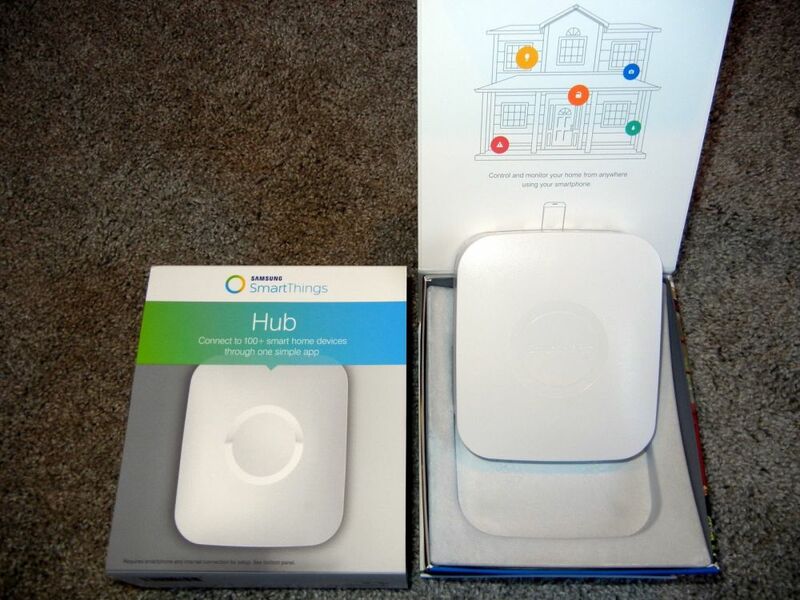 SmartThings Hub is powered by an in-wall adapter; four AA batteries provide about 10 hours’ of backup power. Wi-fi communication range is up to 50-130’. The Hub requires a router with (a) Internet connection, and (b) an available Ethernet port. You will get faster, more responsive smart performance and better enabled offline processing out of your SmartThings Hub due to a more powerful processor and the design of a local app engine. To operate the SmartThings Hub, you simply need to download the correlating app or use your voice with Amazon Alexa to control the pieces of your smart home. You can even use the SmartThings Hub to “teach” your house what you want it to do in all situations – when you’re sleeping, working, leaving, arriving, etc. There is a wide variety of SmartThings-specific accessories that you can incorporate into your smart home automation system easily (e.g., multipurpose sensor, motion sensor, water leak sensor, arrival sensor, smart outlet, and more), as need, desire, and budget allow. Get it from Amazon: Samsung SmartThings Smart Home Hub. If you have, or want to have, a diverse collection of smart home products and devices that communicate with each other in the same language, Wink Hub 2 might interest you. You can link, and then easily control all compatible smart devices via your free Wink app on your iOS or android device. Installation and setup of the Wink Hub 2 are easier than ever, with an auto-discovery feature and an improved setup process (compared with the first generation model). One of the favorite features of the Hub 2 is its ability to connect different brands of smart devices so they all can be controlled easily, by you, via the central-point Wink app. That’s the epitome of a functioning hub, isn’t it? A smart home hub is of little use if the wi-fi connectivity is weak or inconsistent. 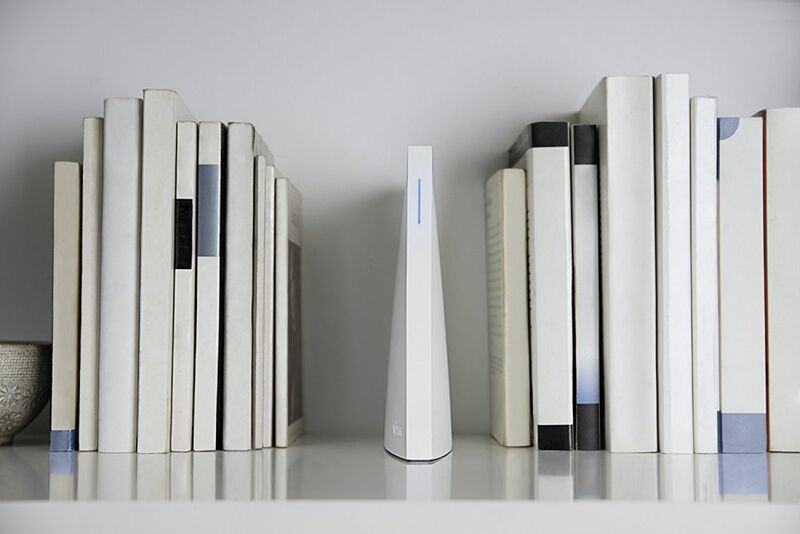 Knowing this, the Wink Hub 2 has a more powerful wi-fi radio as well as an Ethernet port to connect your smart devices more easily and seamlessly. In addition, the Wink Hub 2’s stronger processor and expanded memory capacity provide speed to your smart home’s responses and operation. So, in a nutshell, the Wink Hub 2 improves your ability to control, automate, monitor, and schedule within your smart home’s parameters. Not only does it work better than the original, but the Wink Hub 2 also looks sleek and modern. 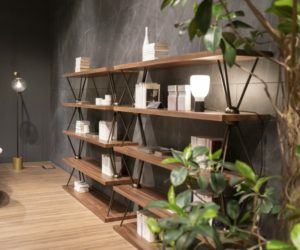 Its aesthetic industrial appeal makes the Hub 2 easily stand alone, out in the open, to enhance the interior design rather than detract from it. As a bonus, for those smart home owners of the original Wink Hub, you can transfer your connected “ecosystem” of smart things to the Hub 2 via your Wink app…and you can do all this quickly in about one minute. Get it from Amazon: Wink Hub 2. The Logitech Harmony Elite Hub is specifically designed to enhance operation and enjoyment of your home’s smart entertainment and connected home devices. The powerful and intuitive Harmony remote provides a one-stop-shopping controller for up to 15 connected devices; it also works with Amazon Alexa. The Harmony Elite remote is intuitively usable, with a full-color touchscreen that’s similar to operating your smart phone. You can swipe and tap to control all aspects of home entertainment, including channels, movies, volume, etc. Connecting Harmony Elite with your smart lighting will also enhance convenience and your home theater/entertainment experience. You can choose to use Harmony Elite to activate and manage each smart device one at a time. But there is also a feature called one-touch activation, which allows you to select a single activity (e.g., “watch a movie”), which signals to all of your smart devices that play a role in making that happen to power on and set to the correct settings. Of course, you can make things simpler and use Alexa for the easy voice integration and activation as well. The Harmony app is designed to essentially create a remote control out of your smart phone, which can be used universally throughout the house for compatible and connected smart devices. The Harmony Elite Hub included in this kit is powerful enough that you can even control devices that live inside closed cabinets. You can also have control remotely when you’re away from home. 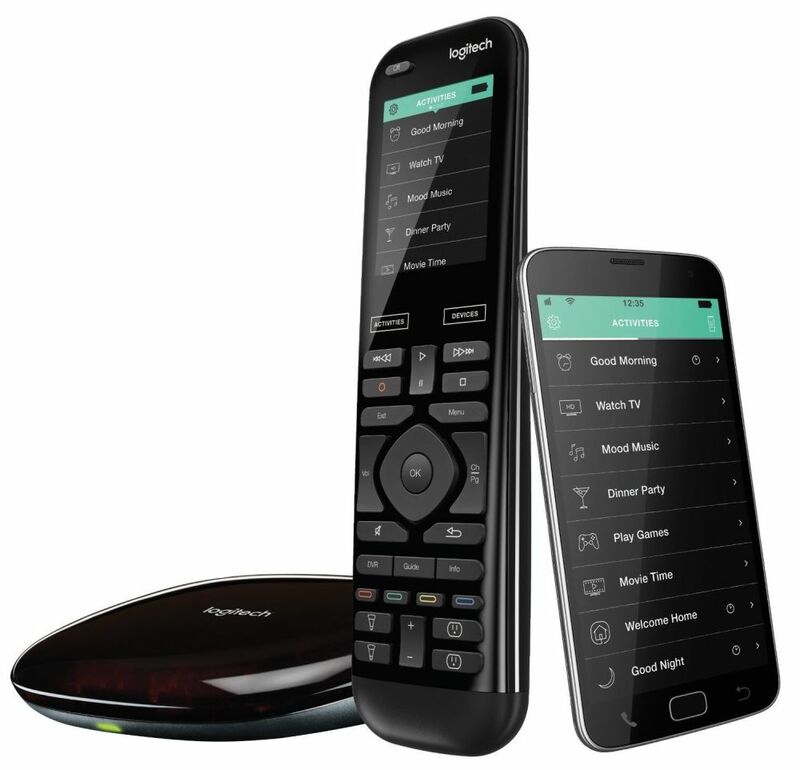 Get it from Amazon: Logitech Harmony Elite Remote Control, Hub, & App . More than a simple home security camera, this Netgear Arlo Pro home security system kit comes complete with three rechargeable wireless HD cameras and a base station with a built-in siren. The camera system is completely wire-free, meaning that there are no power cords or any wires necessitating hardwiring. The cameras operate with fast-charging rechargeable batteries. 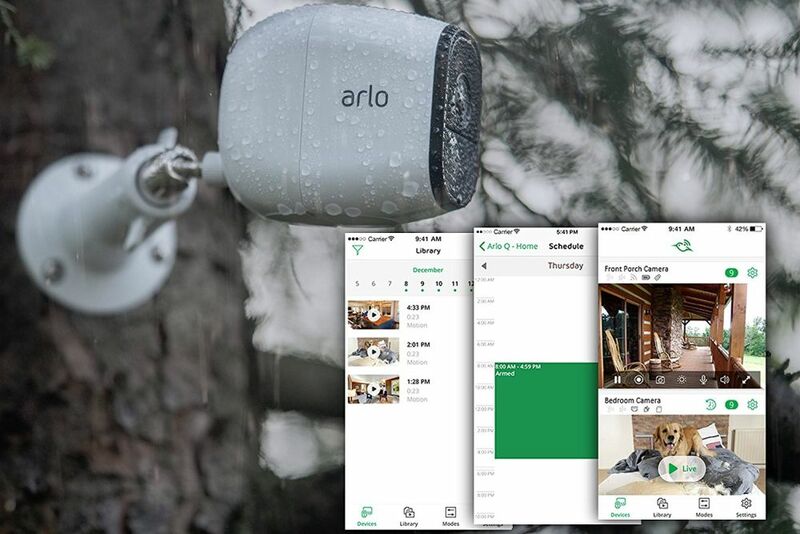 Each Arlo Pro camera is specially designed to be weatherproof, expanding their usability to be either indoor, outdoor, or both. Arlo Pro offers night vision so that you can see the video clearly, whether in the day or the night. A 130-degree wide-angle lens provides a wide field of vision for the whole porch or room. It also sends motion- and sound-activated alerts in addition to recording when triggered. A loud, 100+ decibel siren serves as an excellent crime deterrent. With a built-in mic and speaker, Arlo Pro supports two-way audio via a push-to-talk capability – not only can you hear what’s going on in your field of vision (through your app), but you can also talk to whoever, or whatever, is in that space and they’ll hear you, too. The Arlo Pro works with Amazon Alexa, Echo Show, and Fire TV so you can watch your live video feed with a simple voice command. Arlo Pro provides seven days of free cloud video storage as a standard part of the package, which means you can live stream or view recorded video footage and audio for up to seven days, or you can save your footage with a USB drive local backup storage option. Get it from Amazon: Netgear Arlo Pro Security System with Siren. 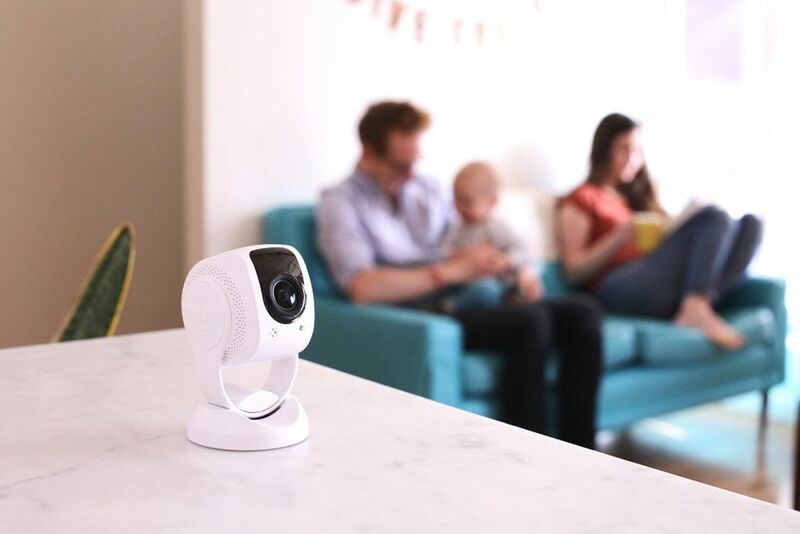 The Nest Cam provides 24/7 live video in your interior space through a 130-degree wide-angle and all-glass lens. The video records in excellent 1080p HD resolution, so your video quality is of high caliber. This is true both during the day and at night, due to the Nest Cam’s night vision capacity in which the whole room is visible even in the dark (as opposed to some camera’s narrow night vision spotlight view). Nest Cam offers peace of mind in added security, because when an activity is detected, the home security camera will send you an alert to your phone and/or email, including with the alert a snapshot photo of the activity. To minimize the number of false alerts that you receive, Nest Cam allows you to create Activity Zones for more precise alert areas and specifications. A favorite aspect of the Nest Cam is its fast and simple setup, which requires nothing more than to plug in the camera and download the Nest app to your smart phone (iOS or android). No hub is needed for the Nest Cam, making it a particularly appealing smart device to people who are just starting on their smart home journey. A built-in speaker and mic allows you to talk and listen through the app, whether you’re in the next room or across the world. If you miss an activity, you can review photos of activity from over the past three hours for free. Get it from Amazon: Nest Cam Indoor Security Camera. The Lynx indoor home security camera offers crystal-clear live video streaming in 1080p HD resolution and audio streaming. 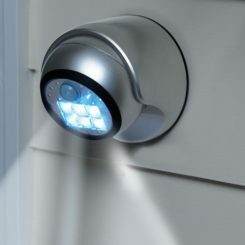 Night vision allows the camera to monitor your space, even in the dark. Dual communication features (e.g., built-in speaker and microphone) allow you to listen in on a space and talk to those in that same space. The Lynx camera also has a motion sensor, which, when triggered, will send instant alerts to your smart phone. Setup is easy, as Lynx allows you to pair the camera with your existing wi-fi network quickly and simply. The cameras can be mounted anywhere because there’s no complicated wiring. Multiple cameras can connect to the same network, so you can manage all of them efficiently and effortlessly through your phone. 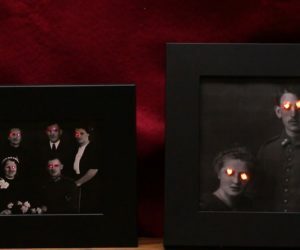 Intelligent facial recognition software is integrated into Lynx home security camera, which gives you the power and ability to choose who your camera “recognizes.” This means that you won’t receive alerts every time your son walks through the living room on his way to the kitchen…for the fifth time since he got home from school. 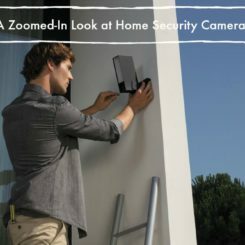 The Lynx home security camera will work with a 2.4GHz wi-fi band and allows you to access live streaming or recorded footage on-site or remotely through your app. Lynx also includes secure seven-day cloud storage of your video footage for life at no cost to you. Get it from Amazon: Lynx Indoor 1080p Wifi Home Security Camera. 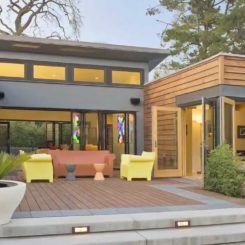 It’s hard to know whether the most appealing aspect of having a smart home is convenience or security. 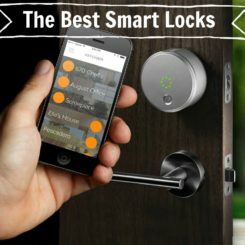 But, really, it doesn’t matter which is more important, because they’re both present when you incorporate smart locks and smart home security into your home automation system. The August Smart Lock 2nd Generation turns your smart phone into a smart key (and much more) for your door. From the convenience of your phone, you can unlock your door, lock your door, create virtual access codes (“keys”) for guests coming to your door, and track who comes and goes through your door. This is pretty amazing. August Smart Lock automatically locks behind you, so you don’t have to remember whether or not you’ve locked the door. Not only that, but August also automatically unlocks as you (with your smart phone) approach the door. You can program unique access codes for users, and they can use these codes as keys to get into and out of your door. Not only is this more convenient for these people (including your children, spouse, and other family members and friends), but it’s also reassuring for you because you can keep track of who has come and gone…and who may still be inside. The August Smart Lock is powered by battery (four AAs), so installation is straightforward, with no wires to connect or deal with. Your door’s exterior hardware remains unchanged, as the August Smart Lock replaces just the deadbolt component on the inside face of your door. The August app will notify you when battery power is running low, so you don’t ever have to guess whether or not your batteries need replacing. 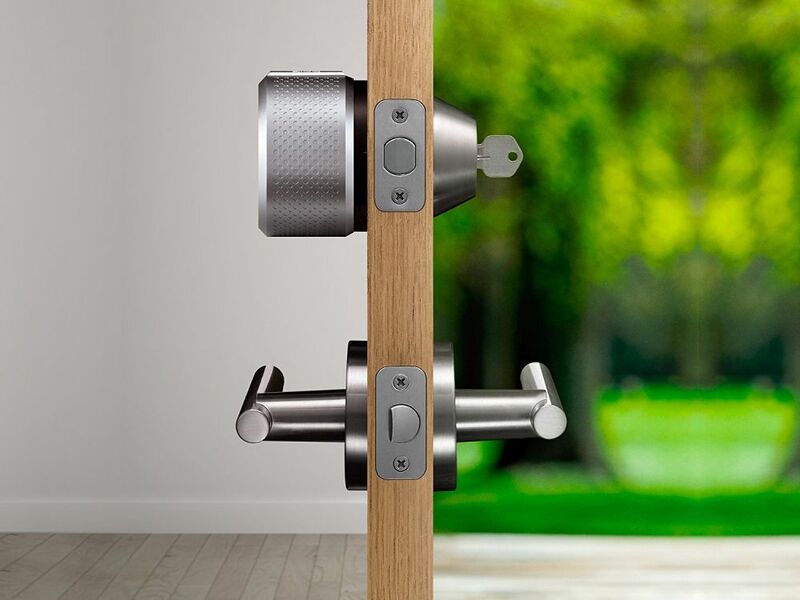 The smart lock connects to your phone via Bluetooth and is available in either dark gray or silver. Get it from Amazon: August Smart Lock . 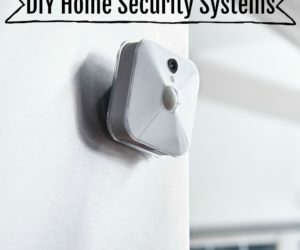 This abode Connected home security starter kit provides professional-grade security without requiring professional installation. Most people can install the components within minutes. 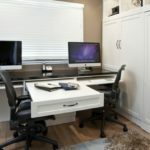 Cell and battery backup and encrypted wireless communication provide additional security at a professional level, so you can truly feel like your home is safely covered.Not only that, but your home security gets a significant upgrade by connecting to a host of smart devices (e.g., lights, locks, thermostats, garage door openers, etc.) and expanding your home automation capability. 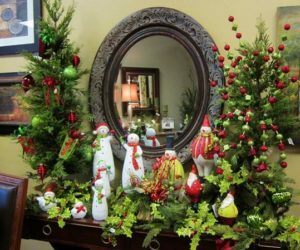 Visual event verification helps to minimize, or eliminate altogether, false alarms from any of your abode home security devices. Included in the abode starter kit are the following: a gateway (hub) that uses secure, wireless technology for connectivity and communication; two door/window sensors so you can keep track of their being opened and/or closed, a remote key fob so your smart lock (not included) can unlock for you as approach the door, and a motion sensing security camera. The abode Connected home security system works with iOS or select android devices, and you can monitor your home for free without paying a monthly subscription or service fee. There is an optional on-demand professional monitoring service available when you need it. 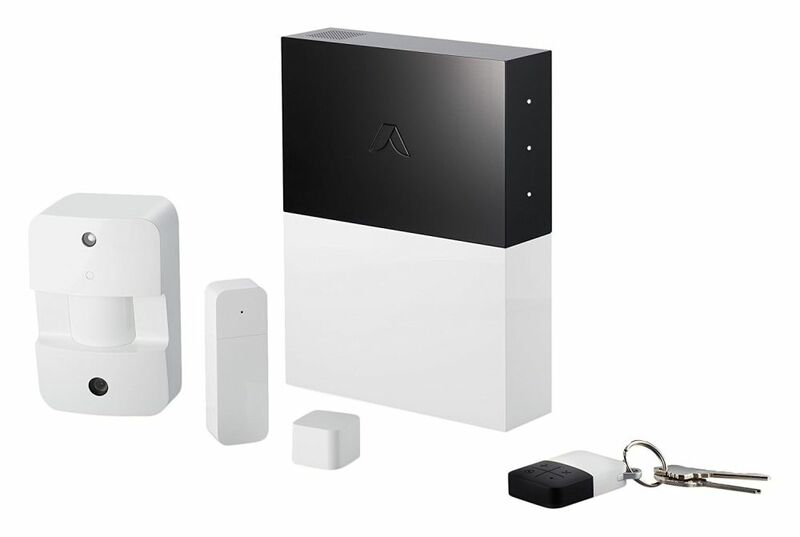 Get it from Amazon: abode Connected Home Security & Automation Starter Kit. 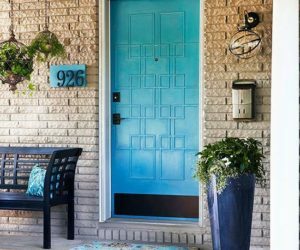 A simple way to increase the smart security of your home without too much trouble or infringement is to install and use a video doorbell as part of your home automation system. 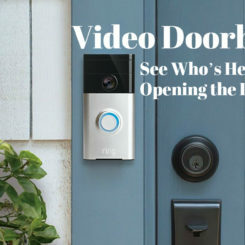 Video doorbells allow you to see, hear, and speak to someone standing at your door from your phone, whether you’re right inside or on the other side of the country. The Ring Video Doorbell 2 provides high-quality 1080p HD resolution to allow you to clearly keep tabs on your home security by seeing who is at your door. Built-in adjustable motion sensors on the doorbell trigger instant alerts even before the doorbell is pressed due to motion detection. Two-way audio capability also allows you to use the app on your phone to not just view the person(s), but also to hear what’s going on and speak to them through your phone. You can see them and hear them, and they can hear you…they just can’t see you. The Ring Video Doorbell 2 is weather-resistant and battery-powered. Fortunately, this means that the setup and installation is quick because there’s no messy, complicated wiring. (Although there is the option to hardwire the doorbell, should you feel more secure going that route.) And also fortunately, the batteries come in a quick-release rechargeable battery pack, so they are easy to remove, quickly charge, and put back into the video doorbell. The Ring Doorbell 2 records clearly during the day or night with night vision and a wide-angle camera lens. With two interchangeable faceplates in bronze or satin nickel, the Ring Video Doorbell 2 allows you to pick the color that matches your home and style best. 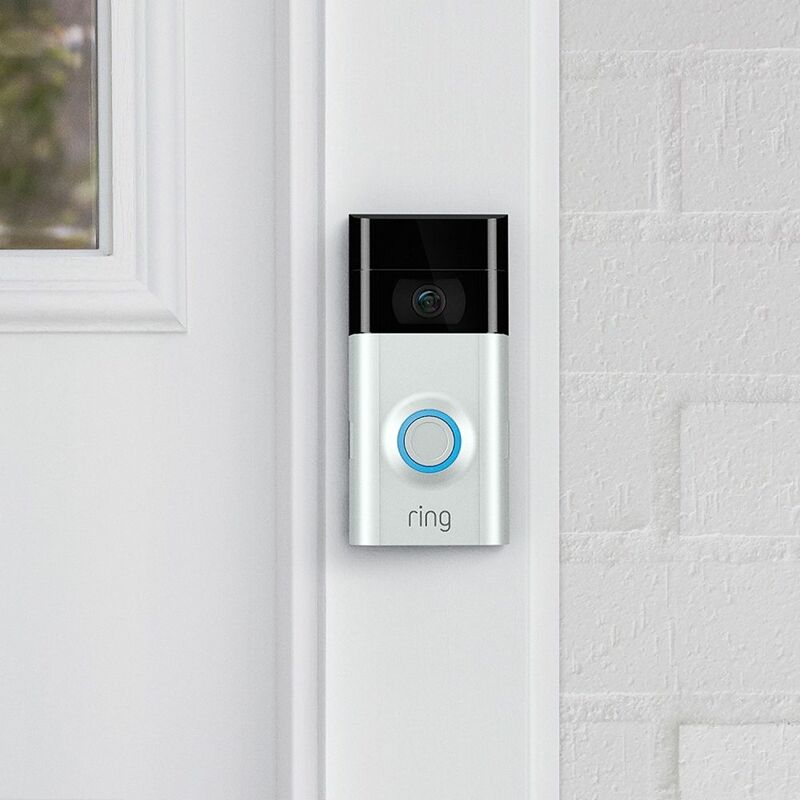 Get it from Amazon: Ring Video Doorbell 2. This video doorbell kit is an all-in-one package, including the iseeBell HD video doorbell, an indoor Nightlight Chime, and all the tools and wires you need for installation. 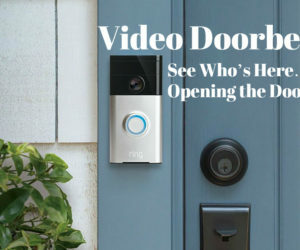 The video doorbell uses bank grade encryption to connect to your local wi-fi network so you have easier access and more opportunity to control your home’s security for peace of mind and safety. You can watch the live video feed or stored footage (on the cloud) via your iOS or android smart phone app, you can talk to visitors at your doorstep (whether you’re home or not), and you will receive alerts and photo snapshots of suspicious activities. 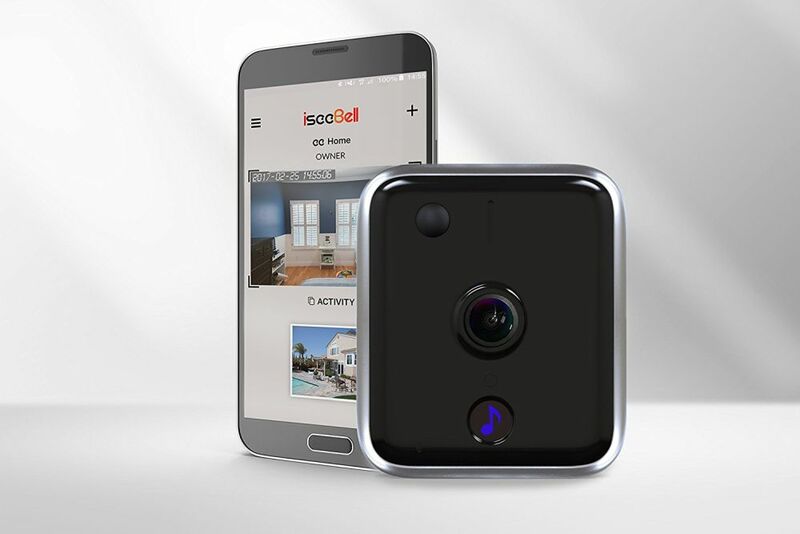 The iseeBell doorbell’s ultra-wide-angle lens, at 185 degrees, doesn’t miss a thing, as you’ll be able to see for yourself via the 720p HD resolution video. When the light turns dim at night, iseeBell’s automatic night vision mode helps you to still see the video footage clearly even through the darkness. 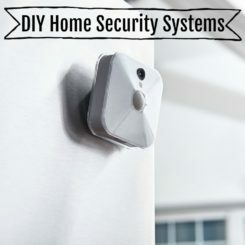 Motion detection sensors will trigger the camera so that you capture all visitors and suspicious activity near your doorbell via stored video footage in the cloud. One of the ways that money is wasted the most easily is through an inefficient thermostat for heating/cooling your interior. Did you know that your thermostat controls about half of your energy bill? It accounts, on average, for more than appliances and electronics. Saving on energy costs starts with your thermostat, really.Smart thermostats are designed specifically help to minimize your effort requiredto keep the temperature comfortable and instead work to create maximum energy efficiency in your home’s heating and cooling without sacrificing comfort. Get it from Amazon: iseeBell Wi-Fi Enabled HD Video Doorbell. This stylish round smart thermostat comes in three finishes (copper, stainless steel, and white) for a sleek, modern aesthetic, but its functionality is what really gets people excited. Nest works with Amazon Alexa so you can control the temperature in your home with just your voice. However, Nest is even smarter than that. 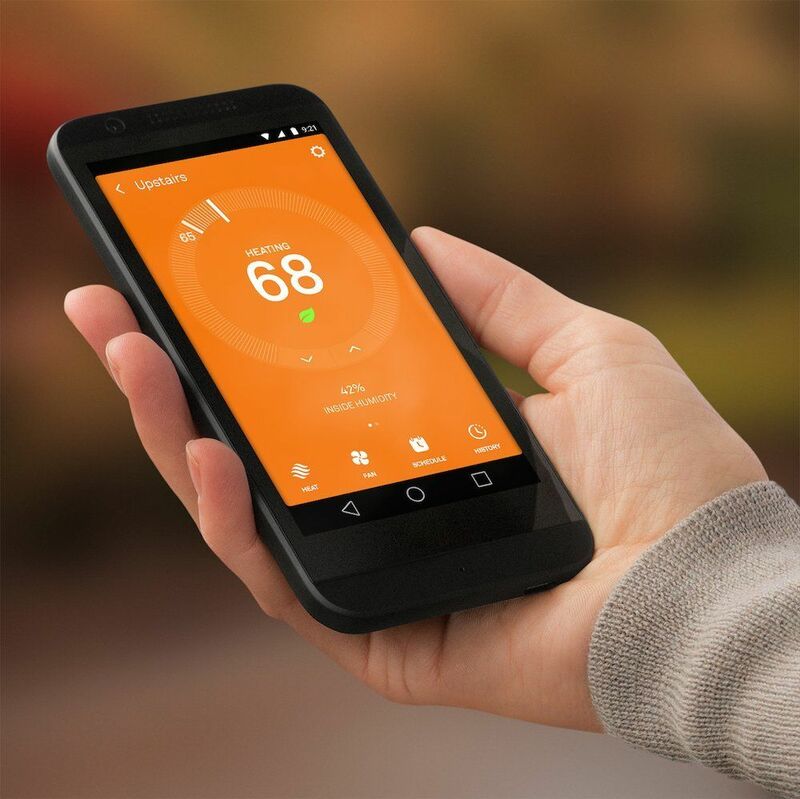 It’s compatible with most central heating systems and has an auto-schedule feature, allowing it to learn your preferred temperatures and your household’s schedule in around a week. Nest offers a feature called Farsight, which means that the smart thermostat can sense someone even from across the room and will light up its screen automatically to reveal the time, temperature, and/or weather. Nest is also an Energy Star rated thermostat (the first one to earn this designation). In fact, the Nest Learning Thermostat saved an average of 10%-12% on heating costs and 15% on cooling costs in independent studies. With its Home and Away Assist feature, Nest can detect when people are home or when no one is home; Nest can then automatically turn itself up or down to keep the rooms comfortable while occupied and cut energy costs when no one’s around. 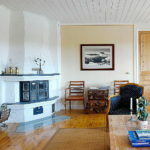 You can also connect the thermostat to your wi-fi to enable your own remote controllability via your smart phone, laptop, or tablet. 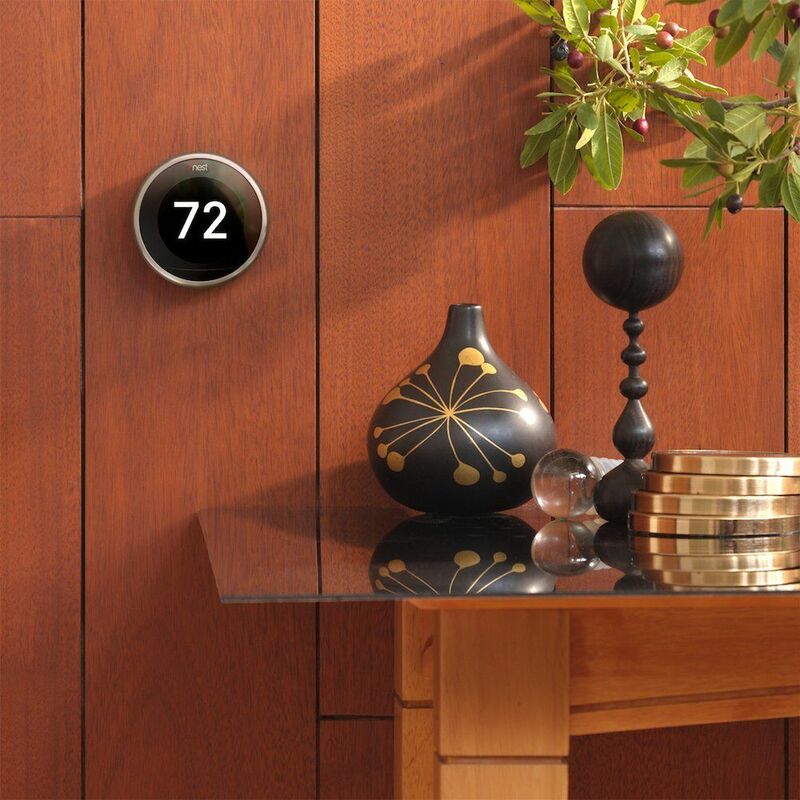 Get it from Amazon: Nest Learning Thermostat. Probably one of the first things that comes to mind when you think of home automation is lighting. “I’d never have to walk through the house to turn off all the lights again!” you sigh wistfully. This is definitely not a lie. 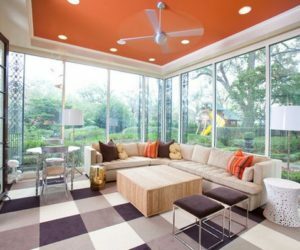 Automated lighting begins with smart light bulbs and can be just as fun to control as they are satisfying…and cost-saving. Few things are as satisfying as automating your home’s lighting experience, and the majority of reviewers agree that Philips Hue smart light bulbs are the ones to use. With this starter kit, you will be able to control your lights whether you’re right at home, next door, or a thousand miles away.You can create customized lighting schedules from your compatible app, which means that you’ll never leave all the lights on while you’re on vacation again. The Philips Hue smart bulbs need to connect to the Hue Bridge, to which you can add up to 50 lights. 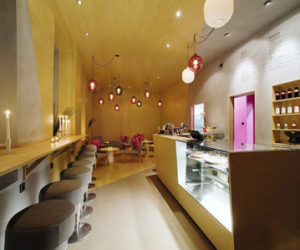 There are also many (twelve, currently) Hue accessories to further enrich your lighting experience. These include, but are not limited to, a dimmer switch, tap, and motion sensor. The great thing about transitioning to smart light bulbs is that, once the Bridge is in place, you simply install the Philips Hue smart bulbs just like an ordinary A19 incandescent bulb. Control of all of your lights is now in your hands, at the tap of your smart phone’s app screen, or with your voice via Amazon Alexa, Apple HomeKit, or Google Assistant. Philips Hue smart light bulbs pair nicely with Nest or Samsung SmartThings home automation systems. 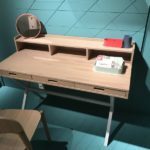 The kit includes one Philips Hue Bridge with power adapter and ethernet cable as well as four Philips Hue white and color ambiance A19 energy star certified standard light bulbs. 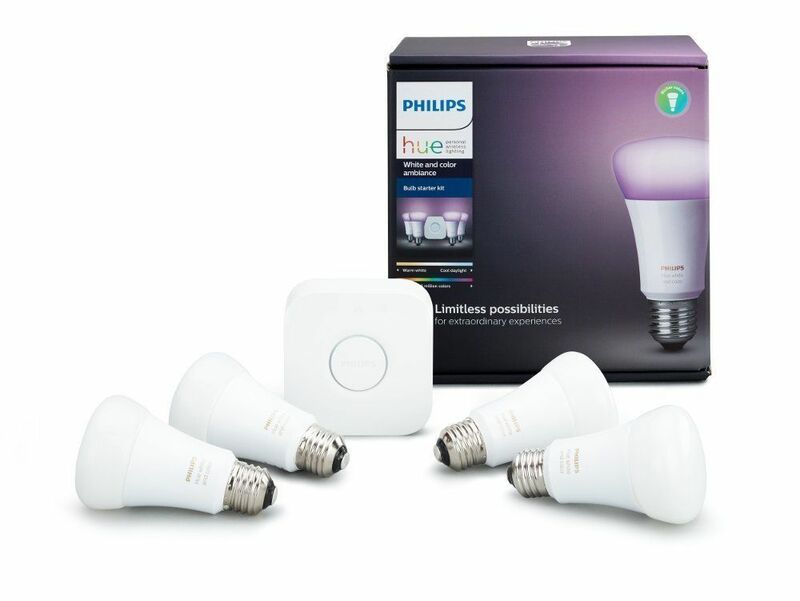 Get it from Amazon: Philips Hue White and Color Smart Bulb Starter Kit. Home security is a big part of home automation, but so is convenience. And nothing is more convenient than having smart devices do your home cleaning for you. Robot vacuum cleaners are one such smart device, performing their floor-cleaning tasks on their own, so you are free to spend your time elsewhere. The Cadillac of robot vacuums, the iRobot Roomba 980 robot vacuum cleaner can run for 120 minutes, cleaning an entire level of your home, before returning itself to its docking station to recharge…and returning to the task at hand if it’s not complete. 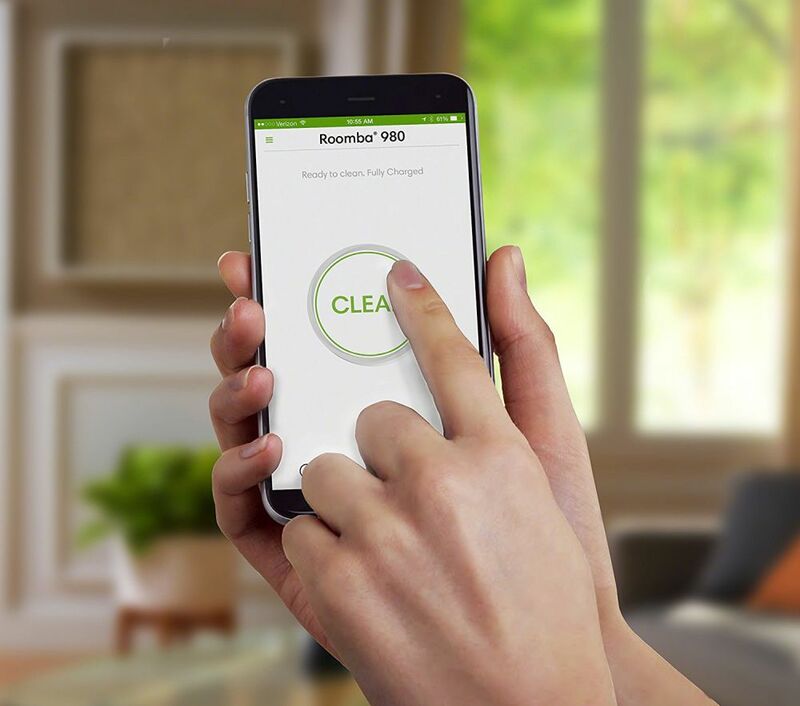 The iRobot HOME app, which operates the Roomba 980, allows you to manually run, schedule, and customize cleaning preferences right from your smart phone based on wi-fi connectivity. You can also voice-activate the robot vacuum to start cleaning with Amazon Alexa and/or Google Assistant, for the ultimate convenience. The iRobot Roomba 980 cleans all floor types, using its Auto-Adjust cleaning head to adapt its height to keep the patented tangle-free, dual multi-surface brushes in close with the different floor surfaces. Combined with its already low 3.6” profile, this design is particularly effective on carpets and with pet hair. Roomba uses a full suite of smart sensors to navigate around the room itself, around furniture, under beds, etc. Choose whether you want Roomba 980 to make one or two passes around the room, to conduct a final edge clean, and whether or not to use the Power Boost mode. Roomba 980 uses iAdapt 2.0 Navigation with Visual Localization to smartly map out then navigate its cleaning on the entire level. You can check its cleaning area on your smart phone app’s Clean Map reports. Its AeroForce 3-Stage Cleaning System uses those multi-surface brushes and Power-Lifting Suction to loosen, lift, and then powerfully suction up dirt, pet hair, and other debris. 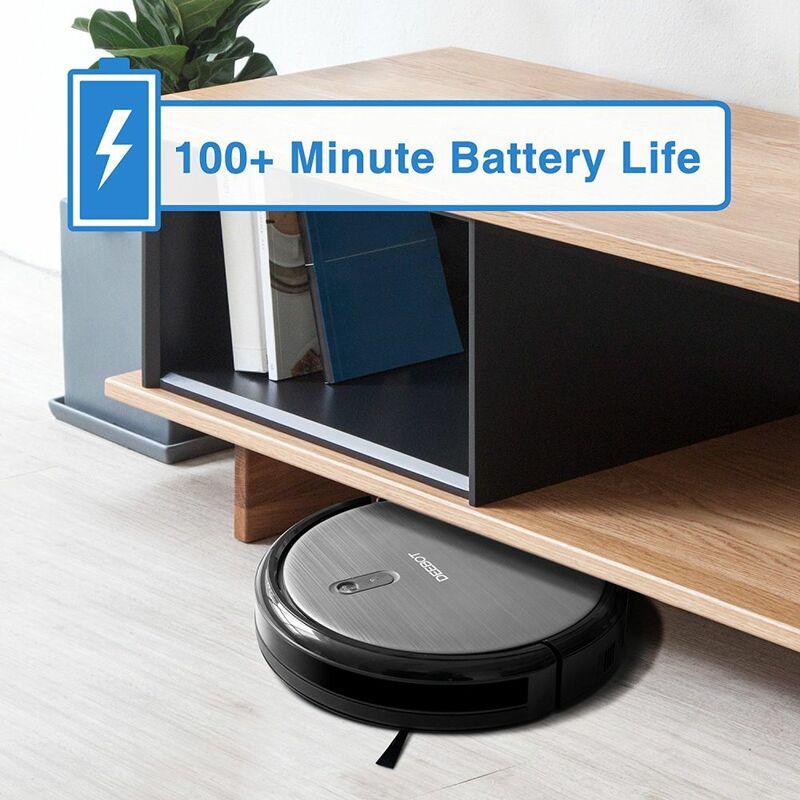 When put into Power Boost mode, Roomba 980 can increase its air power up to 10x more (than the Roomba 600 and 700 models) on carpets, where dirt and dust are particularly prone to lodge. In addition, Dirt Detect sensors are sensitive to find and recognize areas of concentrated dirt or debris, such as what is commonly found in high-traffic zones, and the Roomba 980 will clean extra in those designated areas. Get it from Amazon: iRobot Roomba 980 robot vacuum cleaner. 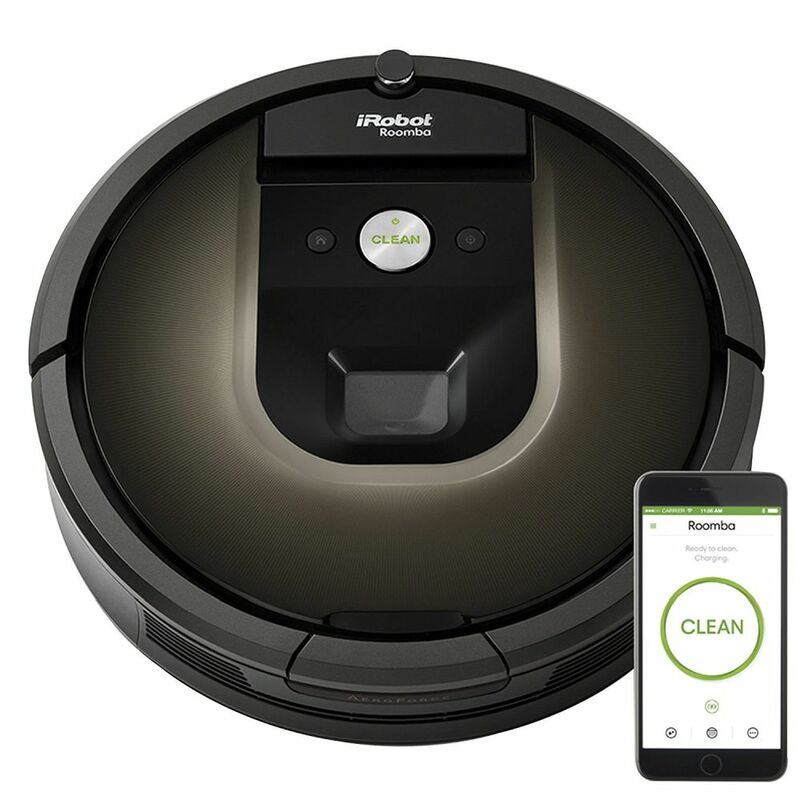 The EcovacsDeebot N79 robotic vacuum cleaner connects wirelessly on a 2.4GHz network band, allowing you to control the vacuum from your android or iOS smart phone app. N79 uses Smart Motion Navigation and a 3-Tier Cleaning System to effectively get your floors spotless. Paired with direct suction, a helix brush-roll, and dual side brushes, N79is guided to auto-clean hard surface floors or thinner carpets in one of three specialized cleaning modes. 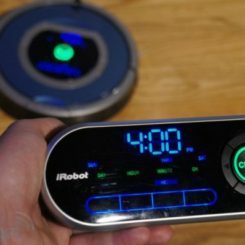 You can schedule and track the robot vacuum’s cleaning sessions, check the status of its accessories (if applicable), track battery life, and receive error alerts. Although N79 is not compatible with Amazon Alexa, it does come equipped with one traditional remote controller, which provides excellent convenience. Smart Motion helps the robot vacuum to adjust to your specific home environment for optimum cleaning, because frankly not every home is the same. You will want to clear the room of clutter before running N79 for best results. 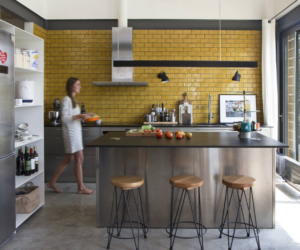 You can choose Single Room or Spot Mode for more intense cleaning that targets specific areas; Edge Mode is particularly effective in those hard-to-reach corners and edges. 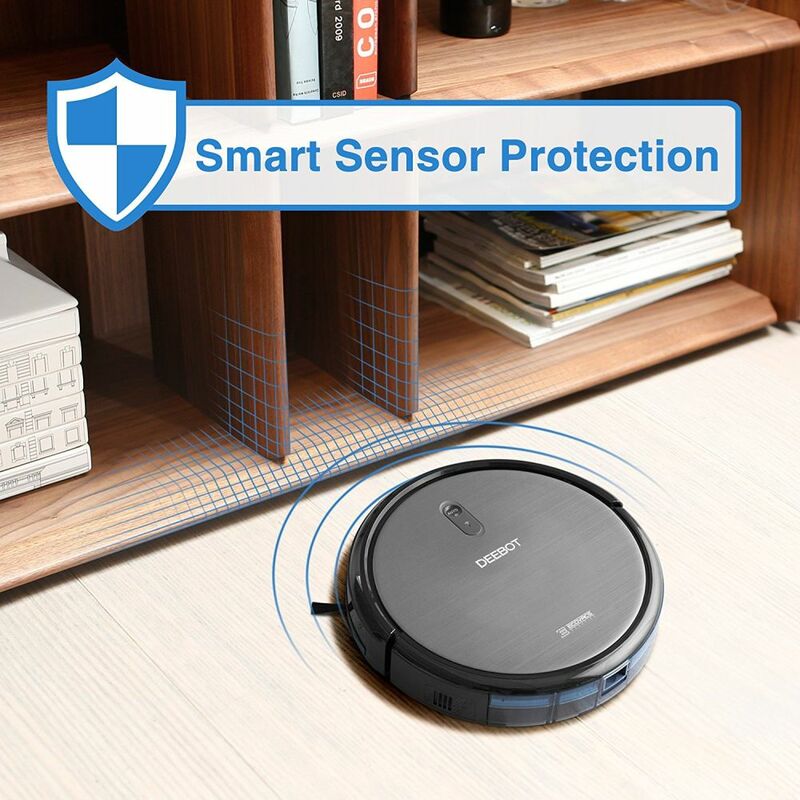 N79 comes equipped with anti-collision and anti-drop sensors, which results in comprehensive sensor safety technology along with durable protective bumpers to keep both the robot vacuum and the walls/furniture from getting banged up. The battery lasts for up to 100 minutes of quiet, consistent cleaning operation along with high-efficiency air filtration before requiring recharge. N79 only reaches 60-64 decibels while running, which means that you can even listen to music, watch TV, or even chat with a friend without being distracted by the vacuum. Get it from Amazon: ECOVACS DEEBOT N79 Robotic Vacuum Cleaner with Strong Suction. One of the most attractive perks of having a home automation system is having your home take care of itself while you’re not at home. This is true for pet care as much as it is for anything else. Consider finding a smart pet feeder to feed your pets automatically, taking care of those four-legged family members. 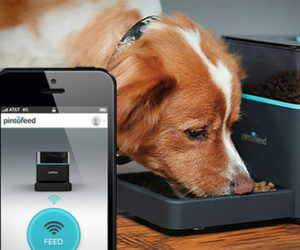 The PetnetSmartFeeder allows you to connect your automatic pet feeder with your iOS or android smart phone app, which allows you to customize food portions and schedule your pet’s feeding times. (You can also use Amazon Alexa for voice control.) Basically, PetnetSmartFeeder dispenses pet food for you based upon the parameters you set or the commands you give, offering you peace of mind knowing that your pet is getting fed properly, no matter where you are in the world. SmartFeeder will measure out food portions based upon your pet’s activity level, weight, and age, so you will be able to avoid overfeeding or underfeeding. The smart pet feeder features a stronger feeding wheel so food doesn’t get caught as it’s being dispensed. 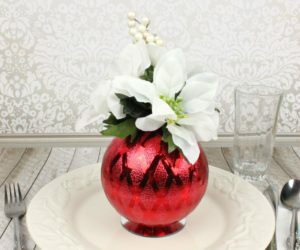 There is also a better bowl connection for more reliable and comfortable use for your pets. SmartFeeder also matches the ideal food recipe with your individual pet to ensure the best nutrition. 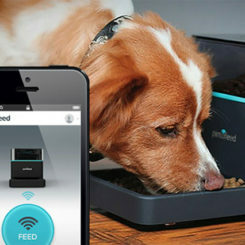 In addition to feeding your pet regularly and the appropriate amounts, SmartFeeder also monitors the supply of available pet food in your home and will automatically ship more when food starts running low. Get it from Amazon: PetnetSmartFeeder. Whether you are looking to make your life and home smarter, safer, or just more convenient, a home automation system is definitely something you’ll want to look into. The possibilities for customization are limitless, which means you truly can put together the perfect home automation system for your space and your household. 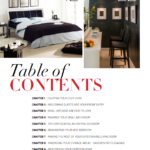 We hope you find this information helpful in your research to create an effective home automation system to improve the quality of your life. 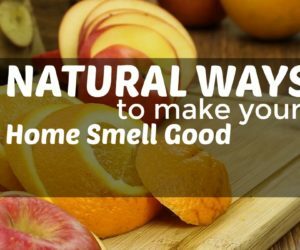 Note: This article contains affiliate links and, at no additional cost to you, will provide compensation to this website’s operators when you click through and make a purchase.